Bring water to a boil in a large pot. Add salt to the water and add macaroni. Stir and cook until al dente and then drain. 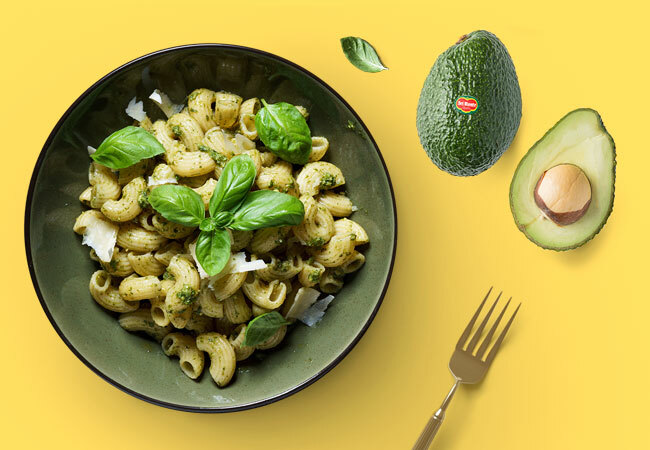 While the pasta cooks, make the avocado sauce by placing the avocados, lime juice, cilantro, salt and pepper into a blender. Blend until smooth and creamy. To make cheese sauce, place butter in a saucepan and heat over medium heat. Let the butter melt and add flour to create a paste. Add in milk until smooth. Stir with a wooden spoon until the sauce starts to thicken. Add in Pepper Jack cheese and stir until cheese is melted. Place macaroni in a large bowl. Add the avocado sauce over the macaroni and mix together. Add the cheese sauce and stir until macaroni all are mixed. Season with salt and pepper, to taste. Serve with fresh avocado chunks.